RainSoft is happy to offer a complimentary water test to residents of Fredericksburg, Virginia and its surrounding areas. Although you use water every day, from washing dishes to brushing your teeth, you may not know about the different additives and contaminants that might be in your water supply. 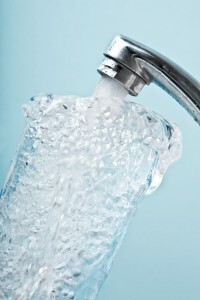 But while you probably don’t have to worry about municipal tap water harming you, it can have many unpleasant effects. These effects include limescale buildup in your pipes, water that looks murky and has a metallic taste, and white residue on your bathroom fixtures due to mineral deposits. Getting a water test from RainSoft won’t only help you learn more about what’s in the water you and your family use every day, it’ll also help you find solutions for any contaminants in your water. Water softeners – These systems are used to treat hard water, which contains high concentrations of calcium and magnesium that can be identified by our water test. Softening hard water has many benefits, as it rinses much cleaner than hard water, prevents soap scum on bathroom fixtures, can lengthen the lifespan of water-using appliances, such as your dishwasher, requires less soap because it lathers more, and is overall easier on your plumbing system. Whole-house problem-solving water filters – When a water test reveals problematic concentrations of specific contaminants or additives, such as sulfur or chlorine, these filters are the best solution. Drinking water systems – If you’d like to improve the taste of your water and want a system that can take out more impurities than faucet-mounted filters, then our drinking water systems are ideal for you. If you’re interested in learning more about these products or in scheduling a complimentary in-home water hardness and drinking water test for your home in the Fredericksburg, VA area, contact RainSoft today.